White Hardcover Blank Book, 11" x 8 1/2"
Dances for kids is a win-win way for children to get the exercise they need. 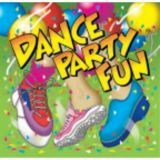 No partners necessary for this #1 collection of party dances for all ages. Ages 4 and up. Guide with lyrics and instructions. 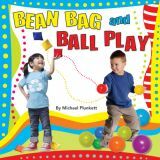 Jam-packed with games using bean bags and a variety of balls, the activities focus on coordination, colors, clapping, passing, rolling, creative play and more. Help children develop gross motor skills, increase balance, enhance directionality and right/left discrimination. Individual and group activities challenge kids while having fun. Guide with lyrics and instructions. 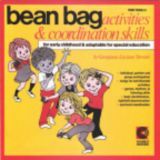 12 great songs from the 50s and 60s and clever activities help kids learn concepts such as body identification and directionality (high/low, right/left, up/down). Routines promote coordination, team work and following directions. Daily exercise is a must for children - to build healthier bodies and stimulate brain development. 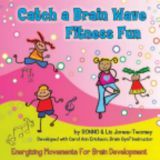 These intentionally designed movements can help kids gain the important benefits of increased fitness and greater learning power. 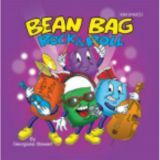 Clear verbal instructions, and sequential movements are found in this exciting, high energy musical collection and valuable resource. A bonus section offers song lyrics and melodies for listening, creative movement, and relaxing. The comprehensive guide expands upon the movement actions and their benefits. 32 page guide included. Runtime: 64 minutes. 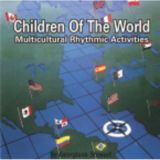 Songs, dances, rhythms and games from other lands come to life as children learn about different cultures. Mexico, Russia, Africa, Japan, Puerto Rico, China and more. Guide with lyrics and activities. 17 original and popular children's songs teach a variety of concepts in a fun way that will promote learning. 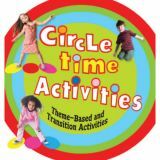 Keep this musical resource handy for circle and transition times. 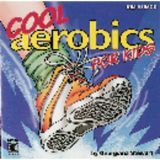 Kids will find it fun to work out to awesome routines and cool songs! The routines are fun, but sensible, featuring breathing exercises, a warm-up, aerobic routines and a cool-down. Guide with lyrics and instructions. Twelve kid-pleasing songs have been choreographed with simple dance steps. Dancing can be a springboard to learning as it promotes a sense of rhythm and varied beats, as well as coordination, and fosters socialization skills. Do you want your children to be fit and have a lot of fun? Here's ten kid-pleasing songs and dances on-screen that they'll love to watch, follow along, and learn. A great group of young dancers enthusiastically perform. High-tech visual effects help make this video #1 entertainment! Children can learn the more difficult dances by watching the visual instructions. In addition, choreographed steps for each dance are included in the guide. Roll up the rug and dance! Cupid Shuffle, Get the Party Started, Born This Way and more. 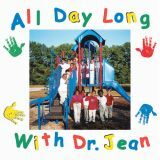 The songs on this CD will keep you singing "All Day Long!" Circle Time tunes will help children learn to spell the days and the months. There are also Birthday and Lost Tooth songs for those special occasions. Chants to line up, clean up and sit down, plus a hand washing song. Rise And Shine, New Shoes, Wiggle Them, Hi Ho Helpers, Back Pack Boogie and more! Twenty-eight songs in all.